There will be many times when you will want both sides of your work to look the same. One of those times, for instance, might be when you are making a scarf. Another time you might be making a shawl. Or it might be a baby blanket, an afghan or a throw. 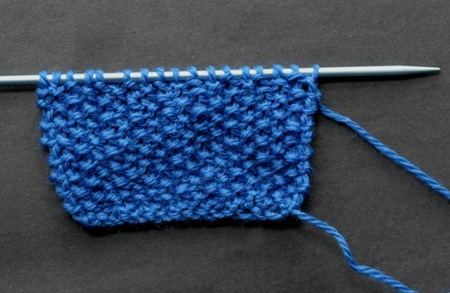 You'll see, as you're knitting, when you would want to use a "double sided" stitch. This is one of the best of those stitches and it is called THE SEED STITCH. It's very easy. All you need to know is the knit stitch and the purl stitch and you're ready to go. Here's how to do it. The pattern consists of only 2 rows. You will need to work on even number of stitches. Row 1, knit one, purl one across. Row 2, purl one, knit one across. Repeat these 2 rows for the pattern. It's that easy.